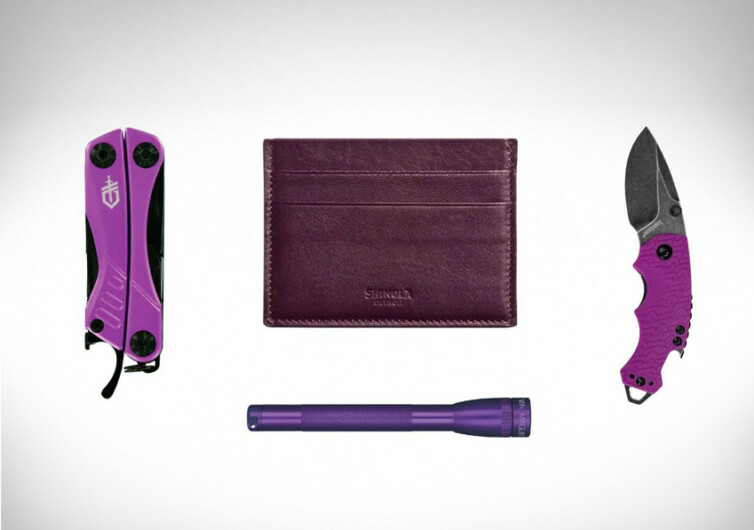 Gerber Dime Multi-Tool – Ready for a variety of different situations the Gerber Dime Multi-Tool is perfect for any EDC. Kershaw Shuffle Folding Knife – With finger cutouts in the handle and additional multi-function tools the Kershaw Shuffle has superior grip and reliability. MagLite Mini Incandescent Flashlight – Small and easily attachable to your keyring the MagLite Mini may not be the most powerful flashlight but it is handy. Shinola Leather Card Case – Smart, slim and pockets to hold up to four cards so only bring the essentials.